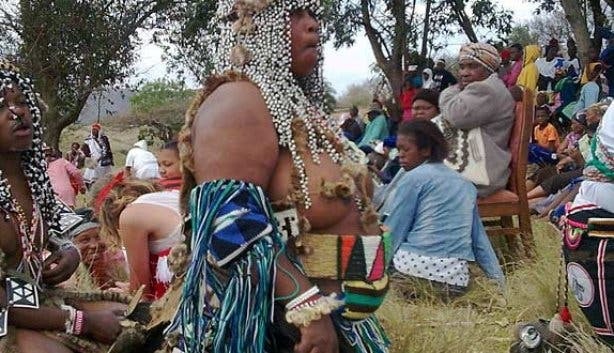 When joining a township tour, you will most probably visit a Sangoma or a traditional healer, a person of great importance to Nguni-speaking South Africans (Zulu, Xhosa, Ndebele, Swazi). was crammed with people, all waiting for the traditional healer to give them advise on whatever illness or health issue. Just like in a western doctors practice but than in a completely different setting. And different medication and treatments: hanging from walls and the ceilings we saw everything from dried herbs to snake skins and many other (for us) unrecognizable items. When we were there, the sangoma 'general mayor' was in a 'consultation', so we didn't have the opportunity to talk to him. In any case, our visit to a sangoma's practice was an interesting one. Visiting a South African Sangoma or traditional healer is one of the highlights of the township tours in Cape Town. Subscribe to our free newsletter to learn and hear more about township tourism, social projects in South Africa, events, unique images, great music, and interesting information and stories on Cape Town and the rest of South Africa.